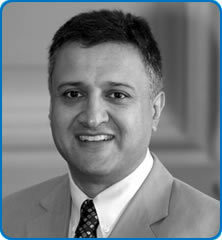 Dr Jasmeet Soar became a Consultant at North Bristol NHS Trust (NBT) in 1999. He became a Fellow of the Royal College of Anaesthetists in 1994, a foundation Fellow of the Faculty of Intensive Care Medicine in 2011, and A Fellow of the Royal College of Physicians in 2013. He works mainly in the Intensive Care Unit, and also anaesthetises for major urological and adrenal surgery, especially during robotically assisted operations. He has an interest in patient safety, with the aim of ensuring patients receive the right care in a timely manner with outcomes they value. Dr Jasmeet Soar also has a major research interest in cardiopulmonary resuscitation. He was Chair of the Resuscitation Council (UK) from 2009 to 2012. He currently chairs the Advanced Life Support Working Group of the European Resuscitation Council, and the Advanced Life Support Task Force of the International Liaison Committee on Resuscitation. He also edits the journal Resuscitation.